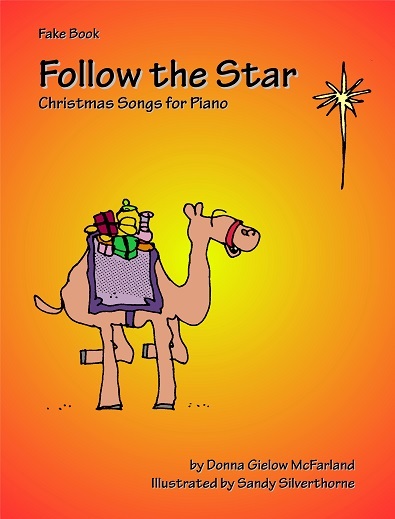 Announcing the newest addition to the Follow the Star: Christmas Songs for Piano series, an entry-level Christmas fake book! Have you even seen music with only a melody and chord symbols and wondered what to do with it? That format is called a leadsheet and fake books are filled with them. Follow the Star: Christmas Songs for Piano (Fake Book) takes you step by step through a tutorial on how to play for carol singing or just creating your own arrangement. The leadsheets are in easy to read print with simple chords and no more than two sharps or flats in the key signatures.